One out of four people on earth is a citizen of the People's Republic of China. Geographically from the Western nations they live half a world away, by any other standard they are farther away than that. It was here that politics became religion and a billion worshippers were assured that they could build Heaven on earth. 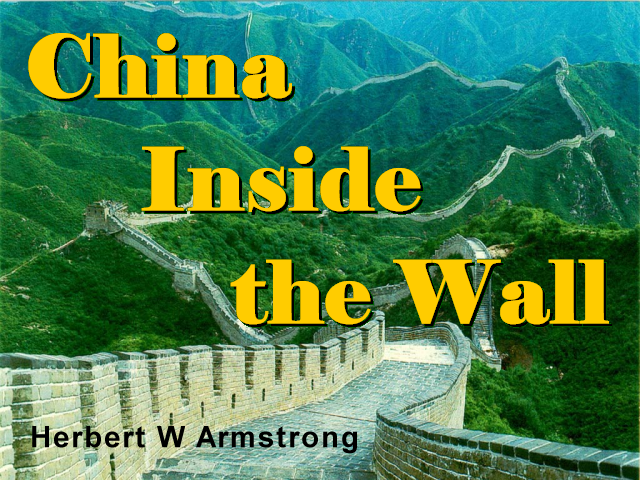 It was to the leadership of this nation that God opened the door for His Apostil Herbert W. Armstrong to deliver the message that not even the billion of minds or bodies could create Utopia, but that it would, never the less come to pass.